The Bakrie Group, which owns approx. 24% of Bumi Plc, has an offer to buy Bumi plc’s assets (Berau and Bumi Resources) and leave the London listed miner active in Indonesia behind as a cash shell. The group previously held 48%, but sold 24% to Borneo Lumbung to ease debt issues. Bumi’s share price has dropped 80% versus the high in July 2011 on the back of low coal prices and governance issues. Bumi plc structure: London listed miner owns a stake in Berau coal and Bumi resources. BHP Billiton announced it would cut jobs in an attempt to cut costs in its iron ore division, attempting to preserve margins at low iron ore prices. The company also recently initiated cost reduction measures in its base metal operations and announced a freeze of executive compensation. Bakrie’s move to leave Bumi plc could imply the end of the Indonesian coal ambitions of Rothschild’s venture. If Bakrie finds the money to execute the deal, it offers other shareholders an opportunity to limit their losses. 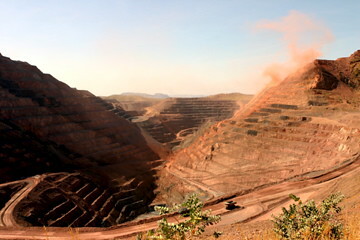 Bumi could try to reinvent itself and buy assets in other regions with the cash received for Bumi resources and Berau, but it would start with significantly less cash to acquire companies than in its attempt in 2011.